Awnings are an important energy and money saving structure that most homes should have. 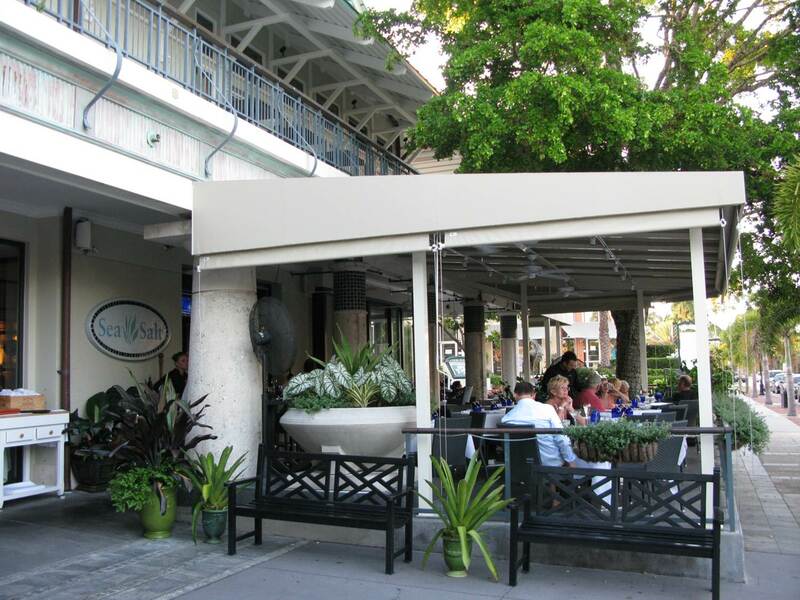 Awnings save energy and can reduce temperatures by 8-15 degrees. 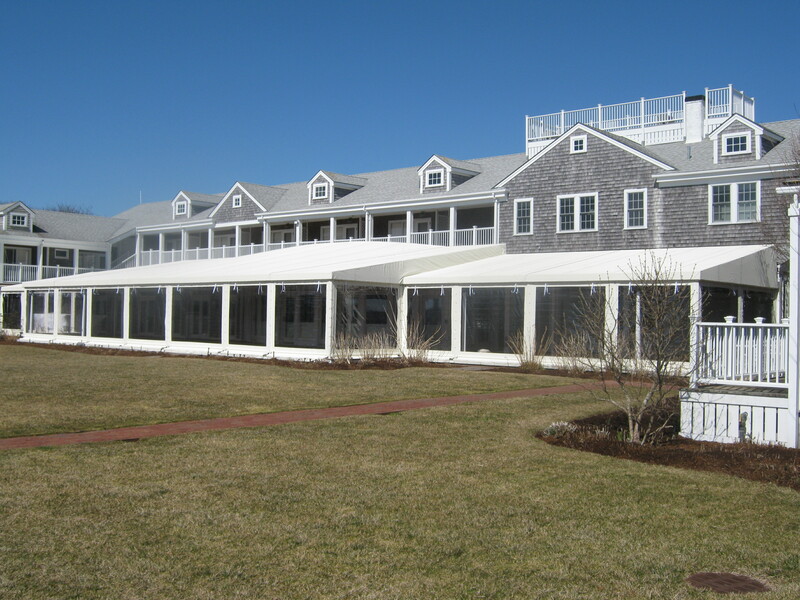 Awnings can also reduce air conditioning costs up to 25 percent! And most importantly, awnings protect your family and your home from sun damage and ultra violet rays. When it comes to awnings - everyone knows Herculite. Awning sun shades offer a lot to the consumer. Designed for use in residential as well as commercial applications, the right type of sun shades will offer several key benefits. By taking the time to determine what you need in the way of awning shades for your home or business will make it much easier to evaluate the different types and decide which one is right for you. 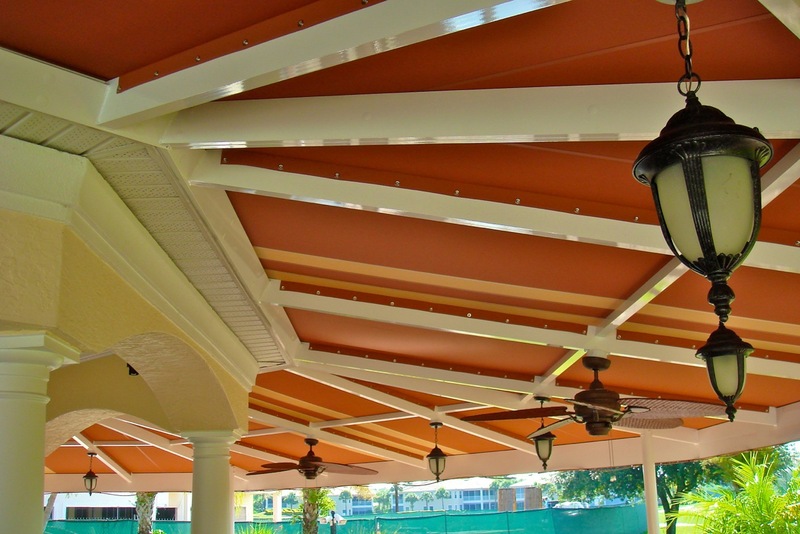 You definitely want any awning shades to wear well in all sorts of weather. One approach is to check out vinyl blends that have the look and feel of a natural fiber, such as the Herculite Natura product. While the material will be soft to the touch and easy to work with, you can bet that it is strong and capable of withstanding direct sunlight for years. The right blend of vinyl material will also retain its color, no matter how much light it is subjected to over the years. The water resistance of vinyl is also another reason to consider this particular solution. Owing to the weave of the fibers, you can rest assured that anyone standing under the awning will remain dry, even if a thunderstorm is rolling through town. 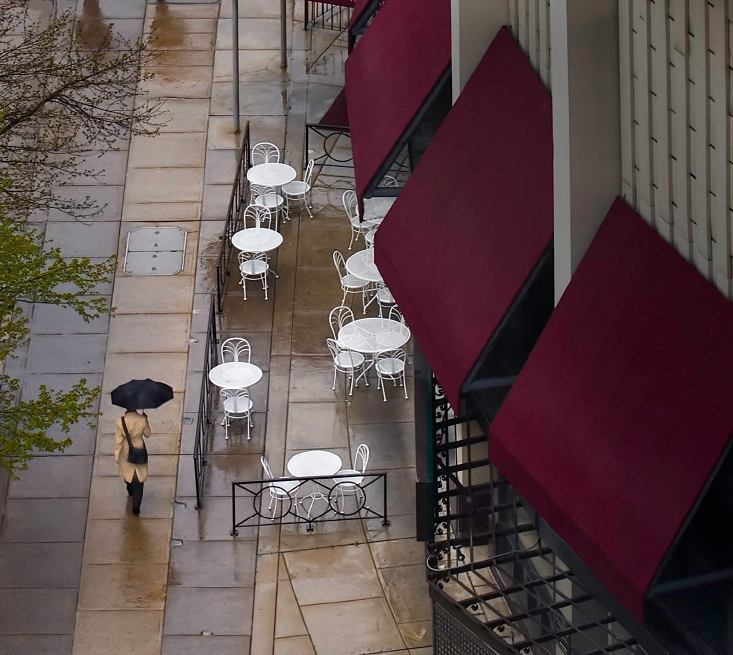 This feature is especially important for storeowners, since potential customers are more likely to head for the awning and eventually find their way into the shop until the rain passes. Another option for awning sun shades is to go with a polyester and vinyl blend. This type of material offers the benefits of providing ample protection from the sun and the rain. In addition, the blend will have fire resistant properties. For commercial business owners, this option lends itself well to customization. For example, if you would like to display the company name and logo on the surface of the material, it can be added without a lot of trouble. Products like Herculite’s Coastline Plus, Patio 500 and Vanguard are worthy of consideration for these reasons and more. The fact that the awning material will fit snugly on the frame and resists shrinking will mean that you can use the same awning for several years before a replacement is needed. The October Project Spotlight is located at the Orange County Convention Center. This is the location of the IFAI Specialty Fabrics Expo 2013. There are a number of ways to save both money and energy with your awning investment. Awnings lower solar heat when blocked and increases it when removed. Properly placed awnings can drop indoor temperatures significantly and then be retracted to bring the temperature back up. According to the department of energy - carefully chosen, well placed fabrics can help lower solar gain by 65 percent for south facing windows and by 77 percent on the west side. Herculite®, Inc. is a market leading, innovative fabric company. We have specialized in high-performance fabrics that can be laminated or coated for more than 60 years. As one of the founders of the synthetic fabrics industry, Herculite® pioneered the use of laminated and coated fabrics for many industries. 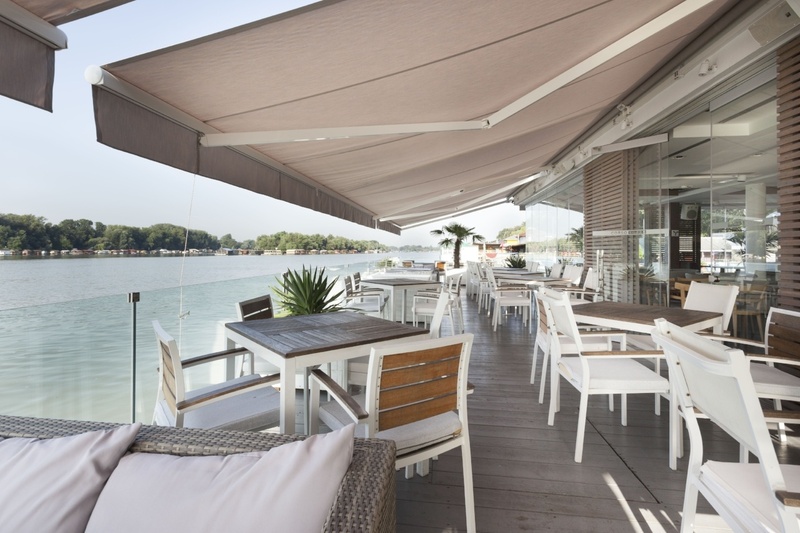 Today, Herculite® fabrics deliver a vast array of brands and products for the awning market. We support businesses through our marketing, design, manufacturing, consulting and technical expertise. We make all our technological advances available for the common market. We continue working for the benefit of our customers and their businesses in order to continue contributing our technology to the advancement of the culture, our markets, the environment and our ever-improving fabric offerings. A colorful canvas canopy is a powerful attention grabber and low cost advertising space. Your name and message on canvas invites passersby to enjoy welcome shelter from inclement weather and the summer sun. 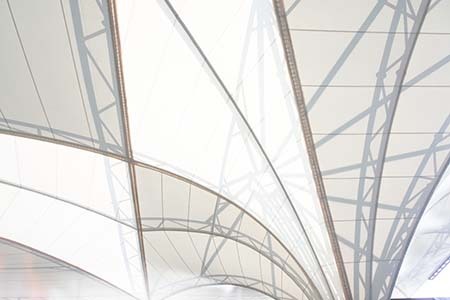 Make sure your canopies project a positive image by choosing the best canvas fabrics for your location and taking steps to clean and protect them from the damaging effects of the weather. 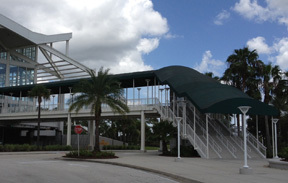 With proper care, a commercial canvas canopy will remain attractive for years. Choosing fabric for waterproof patio covers is a task that cannot be undertaken lightly. 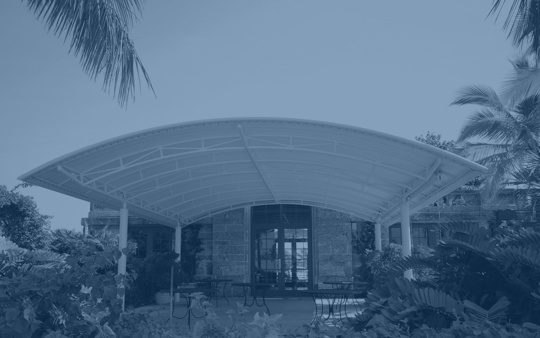 In commercial applications, your patio cover may be the first thing that your customers see as they enter your premises. Choosing exactly the right material and framing style for your awning requires a handful of information.